On an island in the city of Dordrecht, a new district is being developed – Stadswerven. It is built on the site of a former shipyard. The ship slope is the park of the district. The gradual transition from land to water and the ever changing water levels of the river are conditions for the design of a new habitat for men, plants, birds, fish, amphibians and insects. 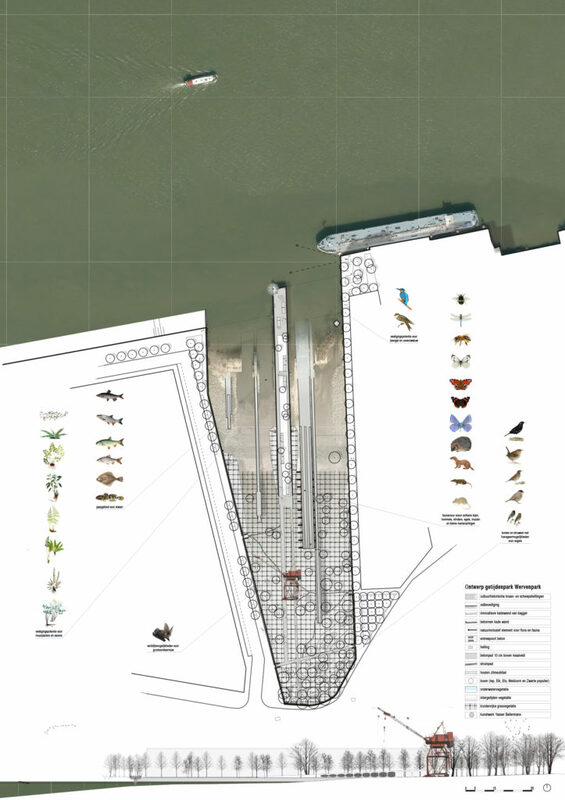 An innovative quay design is made of stabilized dredges, including nesting possibilities for the kingfisher and shore swallow. The Wervenpark is seen as the start of the transformation of all the banks along the Merwede, Maas and North into a regional tidal park. This entry was posted in Uncategorized on October 11, 2017 by Maike van Stiphout.